Challenges are the most exciting part of life, each and every small effort counts and help equally to achieve the ultimate goal. 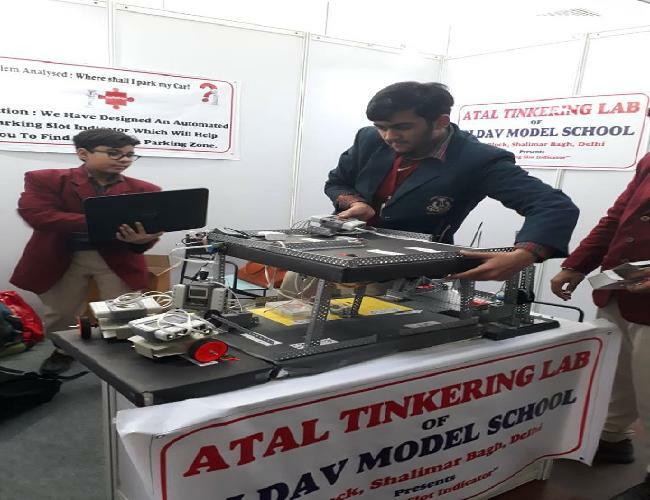 It was fortunate for DLDAV Model School, Shalimar Bagh to be a part of the first ever International Robotronics Competition(IRC- Innovation Track) held at Thyagraj Stadium, INA, Delhi on December 16, 2017(Saturday). Out of 100+ prototypes, only 10 enteries have been selected for this event and our ATL's prototype "Parking Slot indicator" is one of those selected prototypes. Judges were impressed by the hard work and concept of the project carried out by our students and appreciated their work as they managed to work on 8 sensors simultaneously.